Two textures, one terrific tunic. 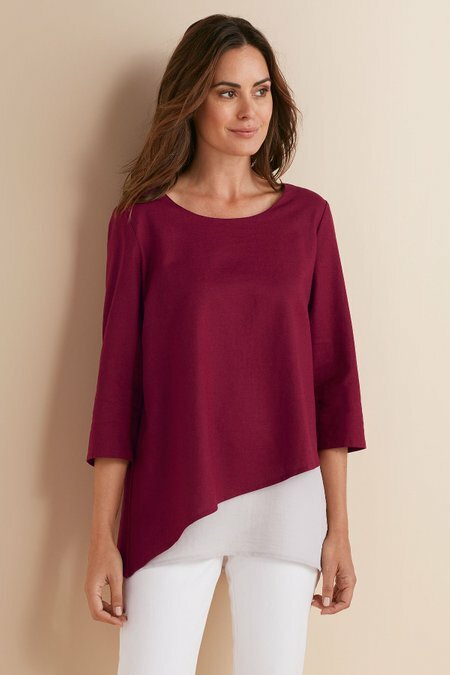 On top, a soft woven overlay ends in a modern asymmetrical hem - and that's where the light chiffon underlayer begins, offering silky contrast.Rayon/linen/cotton; poly. Misses 22"/28" long.